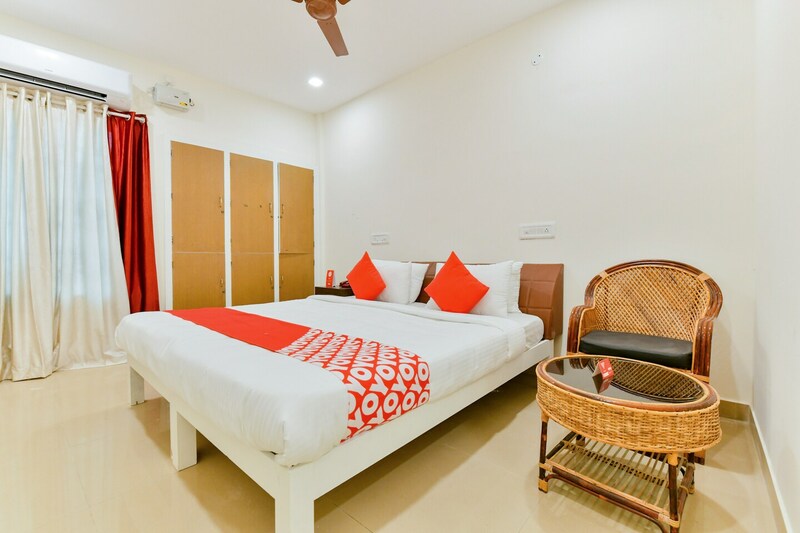 Keyen Arcade is a fine accommodation for guests visiting Kochi. The grand reception sets an impressive tone for the hotel and feels inviting. The rooms are bright and spacious with natural light streaming in from the windows. The various amenities and wooden furniture in the room ensure comfortable and relaxing stay of the guests. The chair and a table make for an additional seating space in the room. Power backup and CCTV cameras ensure security of the guests. Parking facility is also offered by the hotel for the convenience of the guests. Free Wi-Fi service in the hotel enables the residents to stay connected with social media or to catch up with pending work. Guests can also enjoy delicious delicacies at the restaurants nearby.